The usual reproduction_a random jumble of produce tossed with noodles in a heavy, flavor-deadening cream sauce_tastes nothing like spring. Surprisingly, when we dug up the original recipe from New York’s famed Le Cirque restaurant, our colleagues found it wasn’t all that inspiring either, despite taking about 2 hours to prepare and dirtying five pans. 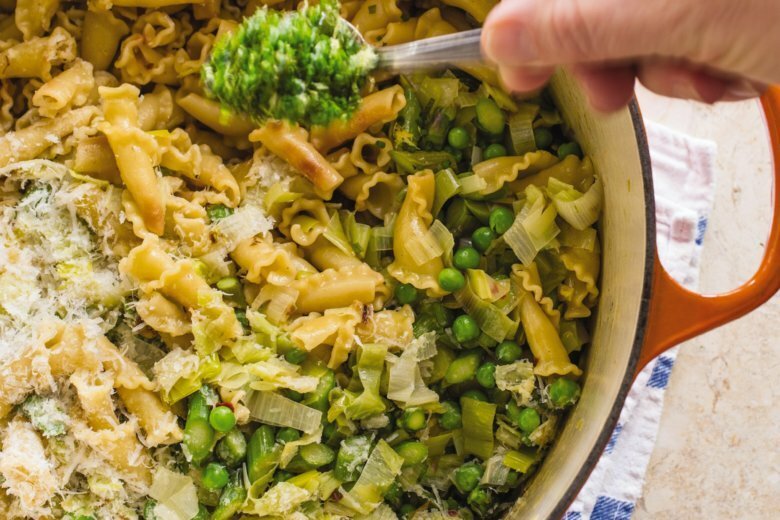 If we wanted a true spring-vegetable pasta_with a few thoughtfully chosen vegetables and a light, but full-bodied sauce that clung well to the noodles and brought the dish together_we’d have to start from the beginning.